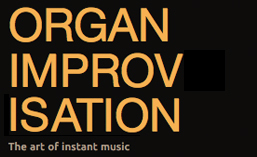 One of the skills every improviser needs to have in their toolbox is the ability to transpose. Any of the larger forms which include a development section require the repetition of material in different keys. While it is acceptable to modify the material in the development, the best preparation for that is to practice strict transposition. There are three ways that can learn to transpose: by ear, by clef, or by analysis. Some experience with all three can be useful as improvisers. The ear is a great asset in transposition. It will be how you check if the notes you play sound the same in the different keys. If you have learned a melody by ear, then it may be easy to transpose by ear. Harmonies, especially complex ones, can by much harder to transpose by ear. This can be the slowest way to practice your transposition, but the ear will always be how we judge if our transposition is correct. The simplest transpositions are those by a half-step. Depending upon how many accidentals are in the piece, it is relatively easy to move a piece from Ab major to A major by simply changing the key signature. Likewise, moving down from E major to Eb major requires only a change in key signature and some attention to the alterations. The way I learned to read these clefs was with Preparatory Exercises in Score Reading by by R.O. Morris and Howard Ferguson. (This is an Amazon affiliate link.) I spent one summer working through learning to read the various C-clefs and larger open scores. Being comfortable reading the different clefs makes it much easier to transpose pieces into more distant keys. I strongly encourage you to master as many clefs as you can. Learning to read by clef reinforces reading by interval. One form of transposition would be to consider the interval that each voice moves. This can be very helpful when transposing a single melody or theme but also for complex harmonic structures. Recognizing that the alto moves a half-step down might be easier to see than reading the part in a new clef which shows a movement from F# to E#. In a tonal piece where you can analyze harmonic function, knowing that the original is a ii-V-I progression should make it easier to play the proper notes and progression in the new key. One of the exercises I did daily for almost 6 months was to play a single Bach chorale in all twelve keys. Not only did this help me recognize standard chord progressions and voicings, I played everyday in keys that most people avoid, e.g. Eb minor, Bb minor, and F# major. I now read harmonic function almost as fast as I read the notes on the clef. The further I have to transpose a piece, the more likely I am to rely upon some form of analysis in addition to using a clef and my ear. There are also complete performances of the original C Major, and transpositions to C# major, D Major and Eb Major. Once you’ve transposed a piece like this, use it as a model for improvising. Follow the score, keeping the same registrations and rhythms, but change the notes. After playing the piece in several keys, I improvised an imitation Vierne piece in F Major and in G minor. There are some hesitations as I searched for similar interesting tonal gestures without following exactly what Vierne did, but that’s why we practice. I decided to make this exercise my prelude this weekend, so there are two more that follow the score less slavishly in A minor and D minor as well. Transposition is a skill that everyone easily recognizes as something that must be practiced in order to be mastered. Improvisation requires practice as well. Whether you choose a piece by Vierne or another favorite composer, I hope you will spend some time practicing it transposed and then imitating it in improvisation. Posted in Lesson, Newsletter. Tagged Louis Vierne, Transposition, video. After a month of packing, moving and settling in to my new position at the Cathedral of Mary, Our Queen in Baltimore, I’m delighted to resume the regular weekly publication of thoughts and practice tips on organ improvisation. I’m still discovering the fabulous instrument at the Cathedral – stoplist available here – and look forward to posting videos later this year. After assessing my technique and ability to play in an atonal style, this next part of my lesson tested my dictation and transposition skills and concluded with canons. Asking me to look away from the keyboard, Franck Vaudray proceeded to play a melody that I had to then play back to him. No reference or tonality was given. I had to find the right pitch and play the melody as he had just done. I don’t remember exactly how well I fared at this, but I do remember that Mr. Vaudray was kind enough to play the melody several times for me before I got it. We repeated the process for a second melody. Both are pictured below. Once I had the motives down, it was time to transpose them. If transposition is not something you practice regularly, I’d suggest moving up (or down) by half-steps through all twelve transpositions. Be sure and do this with both hands. As these motives are not exactly tonal, be sure and pay attention to the intervals and shapes as you practice the transpositions. If you were mentally tired after the atonal lesson, this one really stretches the mind! In the themes above, you may have noticed a rhythm written out above the second melody. This shows the rhythmic placement for that motive in canon. Not only was I asked to play the canon in any transposition, but eventually to play the canon in different transpositions. For example, the left hand plays as written while the right hand follows starting on G, a minor third above. While I don’t think I was asked to do this then, it would be an interesting exercise to try and play the canon following the transposition scheme above. That would be a real challenge! Finally, I was given free reign to improvise a piece using these motives. After transposing and playing them in canon for the past thirty minutes, it was relatively easy to keep the themes front and center regardless of the tonality that I might have wondered in to. I prepared a worksheet with the melodies and transposition scheme that you can download here for your own practice. How much work do we do with a theme before we improvise with it? While not all forms or pieces would require the amount of preparation outlined here, is there a hymn or chant that you improvise on regularly? Will it work as a canon? Perhaps you should put it through the transposition and canon practice outlined here. The better we know the theme, the more flexible we can be in our improvisations, and the more competent, convincing and coherent they will be as well! Posted in Newsletter. Tagged Franck Vaudray, Newsletter, Transposition.